Modern western democracies have a strict separation of military and civil offices, but this was not the case in the Roman Republic (ca. 509-27 BCE). It was not until the third century CE, during the Imperial era, that such a separation was introduced. During the Republican era, politicians were also Rome’s military leaders and vice versa. Success on the battlefield was in many cases a prerequisite for a political career, and reaching one of the higher magistracies, such as the praetorship or the consulship, offered opportunities for new military campaigns. Such campaigns promised rich booty and could make a commander a wealthy man. Politicians often borrowed huge sums of money to finance their electoral campaigns and usually had serious debts, which they could pay off with the profits from successful foreign wars. Studying the Republican Roman army is of great importance for creating a better understanding of the downfall of the Republic. Roman politics were always fiercely competitive and dominated by unbridled ambition. Nevertheless, in the Early and Middle Republic, it would have been unthinkable for a discontented general to march on the capital with his troops, occupy Rome and chase off his political adversaries. Yet this is exactly what happened in the Late Republic: Sulla did it, Marcus Aemilius Lepidus tried it and Caesar is probably the best-known statesman who marched on Rome with his legions. This phenomenon can only be explained by looking at the changing nature and composition of the Roman army. 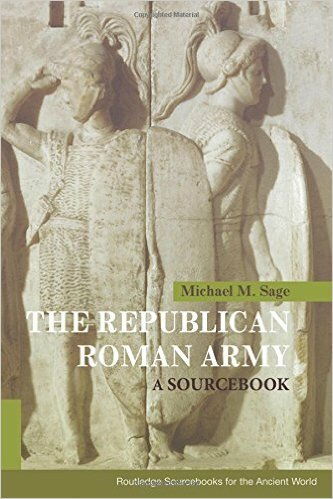 This is what Michael M. Sage does in The Republican Roman Army – a Sourcebook. I have previously discussed the Republican Roman Army here. Michael M. Sage’s sourcebook does not just focus on the technical side of warfare, but also tries to place the Roman army of the Republic in its political and social context. This approach is commendable. The author demonstrates that, with regard to the nature and makeup of the Roman legions and of the cohorts of auxiliaries, there was both consolidation and change. What did not change in a period of almost 500 years, is the fact that the Roman army in essence remained a non-permanent force of conscripts, a citizen militia if you want (although it certainly performed much better than an ordinary militia). All male citizens between the ages of 17 and 46 were required to do military service for the res publica (literally ‘public affair’) if they were called to arms. Infantrymen served up to 16 years in the legions, 20 in case of an emergency. Horsemen were required to serve a maximum of 10 years. A minimum of 10 years’ service was a prerequisite to hold a political office, although many exceptions to this rule would later be made. When a military campaign ended – in the Early Republic this was in October when the war season came to a close – the legions were simply disbanded and the soldiers were sent home. 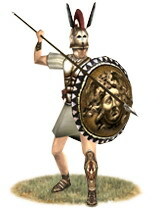 Roman triarius, still equipped in the style of a Greek hoplite (source: Europa Barbarorum). So the army of the Republic was composed of conscripted Roman citizens and auxiliary troops provided by Rome’s allies. This composition was fairly consistent throughout most of the Republican era. However, if we look at what Roman citizens were drafted to serve in the army, we see important changes. The author mainly uses sources such as Livius and Dionysius of Halicarnassus to show that in the Early Republic, the social elite provided the cavalry and heavy infantry, while the middle classes provided the light infantry and the poor were exempt from military service. Every citizen drafted into the legions was supposed to bring his own weapons and armour, so it is hardly surprising that military service was expected from those citizens who, given their status as men of means, were actually able to do so. The social makeup of the army subsequently affected the composition of one of Rome’s most important popular assemblies, the comitia centuriata. This assembly elected the highest magistrates and decided on war and peace. It comprised 193 voting units known as centuriae. Every Roman citizen belonged to one of the centuriae, and this depended on the property he possessed. Citizens who were equites (‘knights’) or who were part of the first property class were divided among the first 98 (later 88) centuriae. There were relatively few citizens in these centuriae, as the number of well-to-do Romans was naturally much smaller than the number of (lower) middle-class and poor citizens. Therefore, the votes of the elite carried a much greater weight in the election of the consuls, praetors and censors than those of citizens from the lower property classes. The rationale of this system is clear: citizens who carry a larger military burden and who have most to lose in a war, should have a greater say in the popular assembly. There was simply no reason to choose a system of ‘one man, one vote’. The Roman army of the Early Republic has certain aristocratic characteristics. This cannot be said of the army of the Middle Republic. Our most important source for this period is Polybius, a Greek from Megalopolis who was a hostage in Rome from 167 until 150 BCE and became friends with important Roman politicians and generals. In Polybius’ time, soldiers from the propertied middle classes formed the backbone of the Roman army. They were farmers who owned some land and operated medium-sized farms together with their families. The social elite still provided the cavalry for the legions, although sometimes reluctantly and the Romans increasingly recruited horsemen among their non-Italian allies. Numidian cavalry, often employed by the Romans (source: Europa Barbarorum). Young men from aristocratic families who were aiming for a grand political career often tried to find a safer job to fulfil their military obligations. They could serve as the contubernalis, the ‘tent mate’, of army staff officers who were relatives. The poorest elements of society were only used as rowers in the fleet. Citizens serving in the legions were still required to bring their own equipment to the battlefield: sword, javelins, shield, armour, helmet, whatever they could afford. However, many exceptions to this principle were made over the course of time, especially in times of need. For instance, at the height of the war between Rome and its arch enemy Carthage – the so-called Second Punic War – weapons, shields and armour were taken from the temples in order to draft as many Roman citizens as possible, and even slaves and convicted criminals, into the legions. This changing social makeup of the army did not affect the composition of the comitia centuriata, which was still dominated by the highest property classes. The number of centuriae assigned to the equites and the citizens of classis I was slightly adjusted and lowered from 98 (of 193) to 88. This reform is not explicitly mentioned in any of the sources. It is, however, clear that in conservative Rome, a need was felt to preserve an institution in which merit, wealth and age played a dominant role, according to British historian Andrew Lintott. Age was also of great importance in the comitia centruriata: half of the centuriae were assigned to citizens above 46, who only had military obligations in cases of need, for instance in the defence of the city. 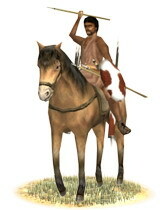 The army of the Middle Republic was highly dependent on farmers from the middle classes. This had its pros and cons. One advantage was that the army was relatively inexpensive. The soldiers received pay, but initially this was more like compensation for not being able to run the farm during the months on campaign. After concluding a military campaign, the army could be disbanded and the men could return to their farms. The cost of the army was furthermore reduced by the fact that soldiers brought their own weapons and equipment and fathers were expected to instruct their sons in how to use the sword and javelin. However, it soon became clear that this impermanent army was unfit for fighting Rome’s new wars. During the Middle Republic, Rome was rapidly expanding. By waging successful wars at home and abroad, it added territories in Italy, Africa, Spain, Southern France, Asia Minor and Greece to its growing empire. Especially in Spain, the Roman conquests led to drawn-out conflicts with the local populations. Rome had to call upon its citizens to serve in the legions and be far away from home much more often. This was problematic for quite a few of the farmers, who had to leave their farms unattended while they served abroad. To add insult to injury, military service in inhospitable regions, where little booty was to be found, was unpopular and extremely dangerous. 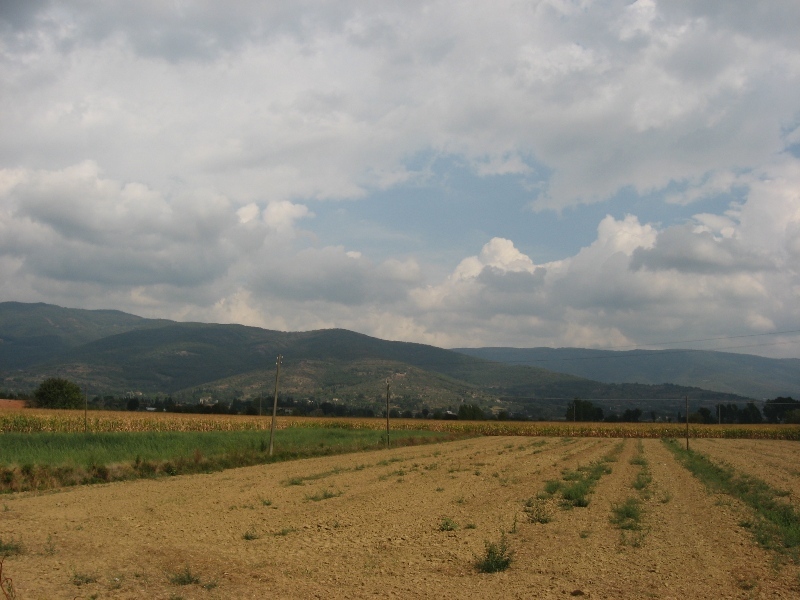 If a soldier managed to survive and return to his farm, he often found it in ruins and could be forced to sell his lands to the rich owners of latifundia, large-scale agricultural corporations who used mostly slave labour. Campaigns in the East, for instance against the Macedonian and Seleucid kings, however remained popular. These enemies were usually willing to sign peace treaties after a defeat and pay large indemnities. It was therefore still easy for commanders to find enough volunteers for wars in the East. Nevertheless, around 150 BCE, there were great difficulties with regard to the levying of new soldiers. Citizens refused to go to Spain for military service and were sometimes supported by people’s tribunes who hoped to reap political profit from the situation. The State responded by lowering the property qualifications for serving in the legions – a reform that Sage discusses by using texts of Polybius and Cicero – and at the same time providing the new recruits with state-supplied weapons and armour. Even a famous tribune like Tiberius Gracchus (ca. 164-133 BCE) tried to increase the number of citizens eligible for service in the army by introducing a lex agraria: public land (ager publicus) was to be redistributed among poor, dispossessed citizens, so that these would become part of the propertied classes again and could be drafted into the army. These plans ultimately led to Gracchus’ demise. His conservative political opponents claimed that Gracchus was not just trying to instigate social reforms, but also to boost his own political career and win many votes. Gracchus was clubbed to death during riots and his body thrown into the Tiber. 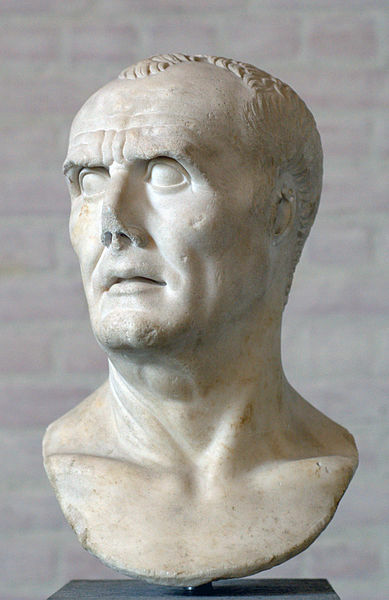 The most fundamental army reforms are traditionally attributed to Gaius Marius (157-86 BCE). He was the first magistrate to openly recruit part of his soldiers from the class of the proletarii, the people without property, literally ‘they who only have their children’ (proles). Since these men had no property, and therefore no weapons or body armour, it was up to the commanding general or the State to provide them with whatever equipment they needed and to pay them for their services. Serving in the army now became a career. Unlike the farmers from the Middle Republic, the proletarii who joined the legions were career soldiers and had no civilian life or profession to return to after completing their military service. The Marian reforms marked the first step towards a professional army. 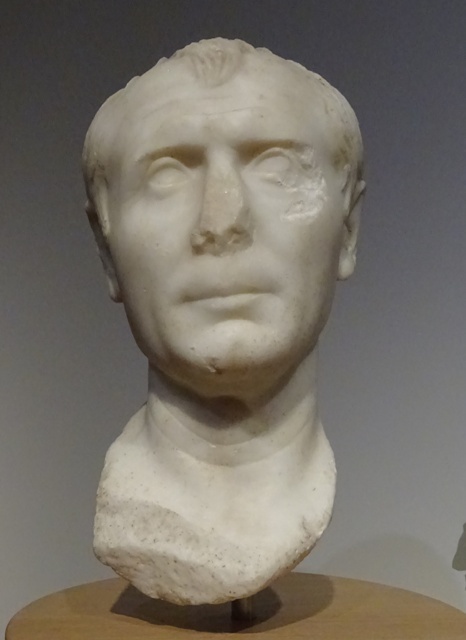 Bust of Gaius Marius (Glyptothek, Munich; photo: Bibi Saint-Pol). The Marian reforms did not represent a revolution. They were rather the end point of a series of smaller reforms. Rome could now recruit enough soldiers from the pool of proletarii to consolidate its hold on annexed provinces, to intervene in conflicts outside the borders of the Empire – if Rome’s interests required it – and to conquer new territories. One problem with a different composition of the army was that the loyalty of the men was bound to shift from the State to the commanding general. The middle-class citizens of the Middle Republican legions had no interest whatsoever in following their generals in a march on Rome. Such an attack would represent an assault on the State of which they themselves were the backbone. This was clearly different for soldiers recruited from the proletarii: they served under a general for longer periods of time and usually strong bonds were developed between the men and their commanders. In fact, the bonds between Julius Caesar and his legionaries were legendary. Technically, the State was responsible for paying the soldiers, but a good general complemented the meagre sum that the men received with extra bonuses and rewards (donativa). The commanders furthermore made promises to the soldiers about what would happen after they had completed their military service: they would be rewarded farmland in Italy or the provinces where they could start their own businesses. The Roman soldier thus became dependent on his general and was prepared to follow him to the gates of hell. When Lucius Cornelius Sulla ordered his soldiers to march on Rome in 88 BCE, most of his officers refused, but the legionaries complied immediately. It was not much different with Lepidus’ march in 77 BCE and Caesar’s in 49 BCE. But we should keep in mind that while the soldiers became dependent on their generals, the generals also became dependent on their men. Caesar for instance refused to lay down his command and disband his legions because it would take away all protection against (politically motivated) prosecutions when he returned to Rome. A general furthermore had to take into account the anger and power of the soldiers if he could not keep his promises. Sulla, Pompeius (Pompey Magnus), Caesar and his adopted son, the younger Caesar (the future emperor Augustus) all had to go to great lengths to find enough suitable farmland to settle all their veterans. This settlement usually had immense and destabilising effects in the regions where it took place. Land had to be expropriated, willingly (Caesar) or unwillingly (Sulla, Caesar the younger), and whole new communities of veterans had to be founded. 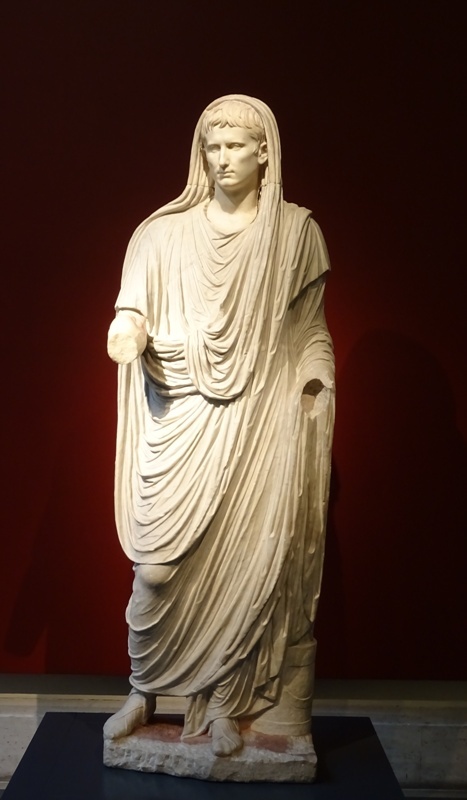 Augustus as Pontifex Maximus (Museo Nazionale Romano, Rome). An important reform was introduced by Augustus after 14 BCE. From then on, veterans were no longer granted land, but were paid a lump sum in money as a pension. Augustus completed the transformation of the conscript army into a professional standing army. I have discussed this elsewhere. The legions became permanent units with their own names and numbers. Legionaries were now all career soldiers from the lowest classes and they were increasingly not even from Italy, but from the Roman communities in the provinces. Nevertheless, the lack of a separation between military and civil offices remained. The emperor’s legates were both the highest civil and the highest military authority in the provinces. The developments in the army that I have mentioned above are discussed convincingly and in great detail in The Republican Roman Army – a Sourcebook. Michael M. Sage deserves praise for also paying a lot of attention to the position of the Roman allies (socii), who often provided more than half of the soldiers for Rome’s armies, but are usually neglected in our sources. Sage uses a variety of classical sources in his book, such as Livius, Dionysius of Halicarnassus, Polybius, Cicero, Sallustius, Caesar, Plutarchus, Appianus and Vegetius. He correctly mentions that many of these sources are imperfect: they are often incomplete, and the classical authors are frequently incompetent, biased or naive. An even bigger problem is the fact that they often wrote about periods of which they themselves had not been witnesses. In this regard, the earliest history of the Roman Republic is especially problematic. It is up to today’s ancient historians to analyse our classical sources and to try to separate fact from fiction. I must say I find The Republican Roman Army – a Sourcebook wanting at times in this respect. On many occasions, Michael M. Sage refers to unspecified academic discussions, from which we can apparently conclude that statement A by classical author B is either correct or incorrect. These conclusions are almost impossible to verify. Although the book does contain lists of ‘suggested readings’ near the end and gives a list of modern literature for every chapter and every paragraph, it remains unclear which author defends which position and most of all: why. I must say I grew tired of reading time and time again sentences like “there is a lot of discussion about this topic in academic circles, but the majority of historians tend to accept that Polybius was right”. The text on the rear flap of the book claims that “The author has carefully selected and translated key texts, many of them not previously available in English”. This raises high expectations, but the reader is regretfully disappointed. Seriously disappointed. The ‘not previously available in English’ is simply not true for the works all the authors I mentioned above. They can all be found in English in the Loeb Classical Library. Sites like Lacus Curtius have most the older translations, of which the copyrights have lapsed long ago, available for free. Admittedly, this is less true for authors like Festus, Aulus Gellius and Livius Andronicus, but their works are much less important for the study of the Roman army. The only new texts that are discussed in the book have grandiloquent titles such as Ineditum Vaticanum 3, but they usually contain little new information. Furthermore, the claim that the texts are ‘carefully translated’ is sometimes quite far from the truth. For instance, Sage twice uses a passage from Caesar’s De Bello Gallico 2.25, but the first time a centurion is the protagonist (p. 109-110) and the second time Caesar himself (p. 204). Upon closer inspection, only the last version turns out to be correct. Whoever edited the book should have studied the manuscript more carefully, as the text is full of errors. Some of them are actually comical. What about: “There were ten cohorts to a legion (…) The most common [formation] seems to have been a formation in three lines with four [cohorts] in the first line, four in the second and three in the third” (p. 203). That makes eleven cohorts, does it not? In spite of these shortcomings, Michael M. Sage: The Republican Roman Army – a Sourcebook is a useful reference book and a good introduction to the complex topic of the Roman army. However, I must admit I actually prefer Adrian Goldsworthy’s work, if only because Goldsworthy is a much better writer than Sage. This is a translation of a review I wrote in 2010 on this blog. The review is based on the 2008 edition of the book. A revised edition may be available today.